Guru Gobind Singh College for Women (GGSCW), Chandigarh has given a notification of 03 Assistant Professor Vacancies on the regular basis. The interested candidates can apply for the Guru Gobind Singh College for Women Chandigarh Recruitment 2018 within 21 days from the date of notification. 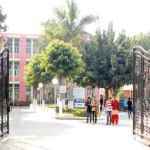 Chandigarh Guru Gobind Singh College Recruitment 2018-19 notification is out. As per the Notification, there are 03 Assistant Professor Vacancies. The educational qualification is UGC/NCTE/State Government/Panjab University norms. The age limit is as per the college rules. If you are looking for Teaching Jobs in Chandigarh Colleges then this article is going to be very helpful for you. The qualification is as per the UGC/N.C.T.E/State Government/ Panjab University norms. As per the Hon’ble Supreme Court orders only NET/SLET qualified or Ph.D. candidates are eligible for the recruitment of Assistant Professors. The age limit and salary are also as per the college norms. You can send your applications within 21 days from the date of publication of this vacancy notification through registered post or in person to the department and a copy of the application be sent to the Dean College Development Council, Panjab University, Chandigarh. Last Dates: Within 21 days from the date of notification.